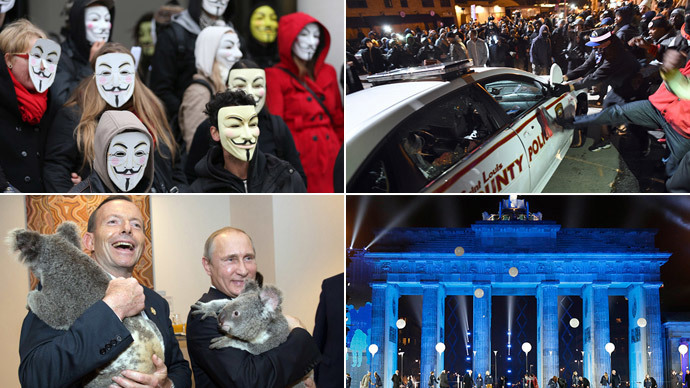 November 2014 in pictures: Comets, riots and marches...oh my! Remember, remember, this mad month of November! 'Twas not a single day one could miss...from Al-Aqsa rage to Ferguson flames; volcanoes, monsters, and more. ‘Twas a month of comet landings! The pics are outstanding! So sit back and see what’s in store! Okay, so a bit of rhyming in honor of Guy Fawkes Day was in order, seeing as how the standard bearers of the infamous gun powder plotter have managed to hold onto the headlines in one way or another for the entire month. If the guys and gals from the hacktivist collective Anonymous weren’t making waves with their annual Million Mask March in honor of Guy Fawkes himself, they were declaring war on the Ku Klux Klan in Ferguson. Speaking of Ferguson, in a month where the United States’ northeast was buried in snow of epic proportions, a Missouri grand jury’s decision to reject charges against Darren Wilson over the death of Michael Brown generated enough heat to deice a Siberian tarmac. The decision prompted thousands to protest from coast to coast – sparking looting, riots, over 400 arrests, and the deployment of the National Guard to stem the tide of chaos in the low-income Saint Louis suburb. While Thanksgiving managed to calm things a bit (though crazy uncles across America with an AM radio fetish did their best to break the peace), the ‘Black Lives Matter Friday’ event and actual shopping mall blockades on America's most conspicuous day of shopping offered an inauspicious start to the holiday season. 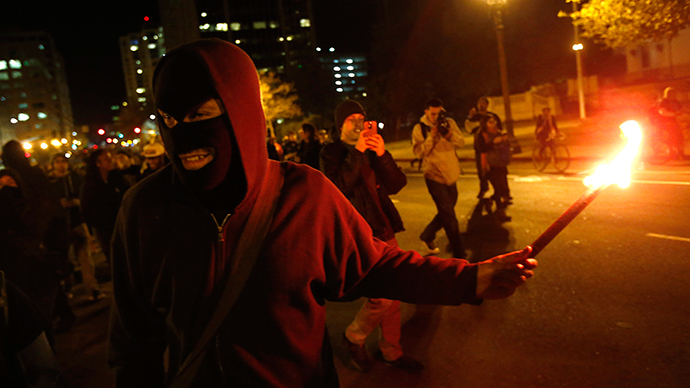 Ferguson, of course, wasn’t the only place to see generations of tensions spill over onto the streets. In Jerusalem, access to the Al-Aqsa mosque – Islam’s third holiest site – was closed to Muslim worshipers for the second time in a week due to intensifying clashes in the city. The first closure was prompted by the shooting death of a right-wing Jewish activist who had called for greater access to the Temple Mount – the holiest site in Judaism where Al-Aqsa sits – along with the much revered Dome of the Rock. The shooting was only one in a series of murders, kidnappings, and retaliatory acts of violence that have turned the holy city into a tinderbox. These events, in line with tensions throughout the world, lay in stark contrast to the 25th anniversary of the fall of the Berlin Wall – the 20th century’s most evocative symbol of division. 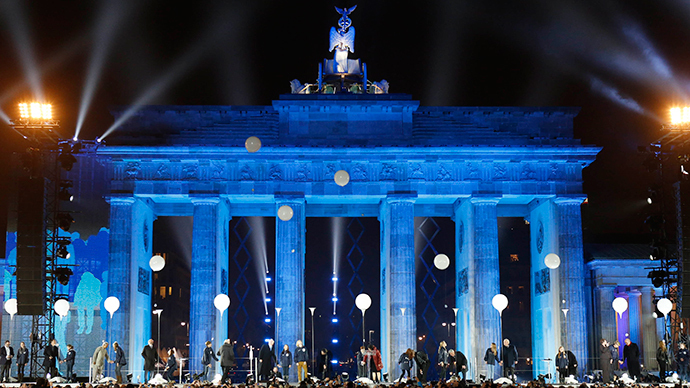 In a truly inspiring display, Berliners lit 8,000 balloons along the length of the long-since dismantled city divider. Former Soviet leader Mikhail Gorbachev was given a hero’s welcome in the city for helping to bring an end to decades of division. Sadly, as the senior statesman marked the end of the Cold War, he warned that the world was on the brink of another. Those chilly tensions between Russia and the West were made most explicit when Australian Prime Minister Tony Abbott threatened to shirtfront Russian President Vladimir Putin when the two met during the G20 summit in Brisbane. 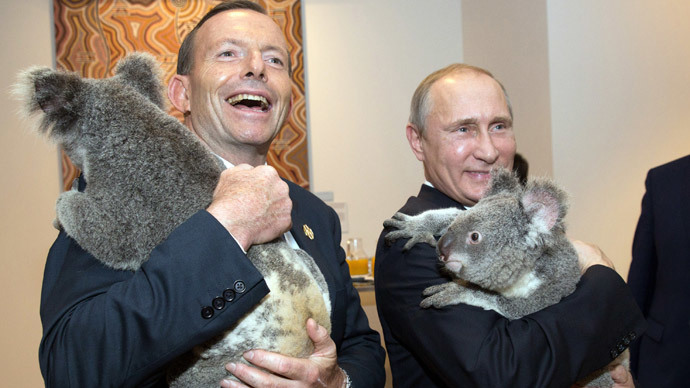 Luckily, when the two leaders actually met Down Under, the world’s cuddliest mediators applied a soft touch that left both leaders all warm and fuzzy inside. And if it wasn't enough that humans the world over are getting bent out of shape, the world itself seems to be absolutely fuming. On the Japanese island of Kyushu, Mount Aso spewed up a pillar of ash and rock, forcing nearly 50 flights to be canceled. On the other side of the world, Mexico’s Volcano of Fire lived up to its name, sending out a five-kilometer high tower of ash, which covered towns up to 25 kilometers away in a blanket of finely pulverized lava. Taking the hat trick in November volcanic activity, President Barack Obama was forced to declare a state of emergency after a slow-moving lava flow from the Pu'u O'o vent of the Kilauea volcano started eating everything in its path on Hawaii’s big island. 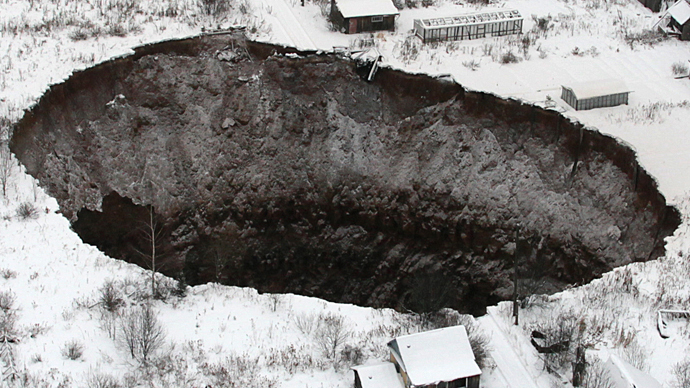 And if the world wasn’t spitting flames, it was literally collapsing into depressions, as a massive 65x98 foot sinkhole threatened to swallow up a town in Russia’s Urals. Speaking of scientists exploring untold depths to discover new mysteries of the world, what on God’s Earth is that??? Apparently, this creature which scours the depths of Monterey Canyon off California’s coast is known as a black seadevil – because Jesus, did you see that thing? Sea monsters, racial and religious strife, new Cold Wars, volcanoes, gaping craters, and general malaise. If so little good can be found on Earth (apart from that koala), perhaps it’s time to look to the stars. 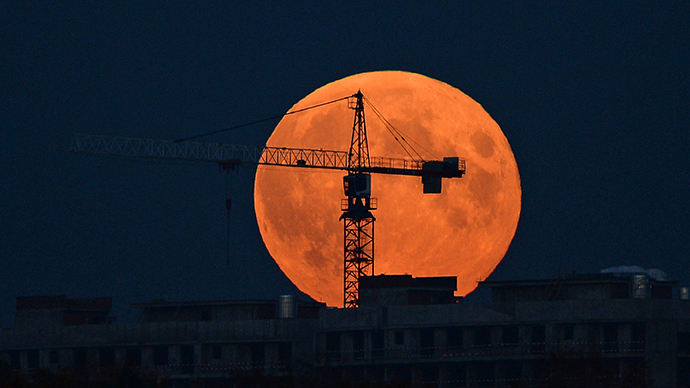 Of course in Russia, you don’t come to space – space comes to you (Editor’s note: Yakov Smirnoff jokes are so 1986). And while lightning may not strike twice, meteorites apparently do, as a ball of orange light burst over Russia’s Sverdlovsk region. Some say it was an asteroid, others say it was some sort of space launch. All can agree it was pretty damn incredible. Just don’t let the jaded dashcam footage fool you. Yes, this was a truly amazing month for our intrepid space watchers, with those incredible images of Saturn’s Titan moon. 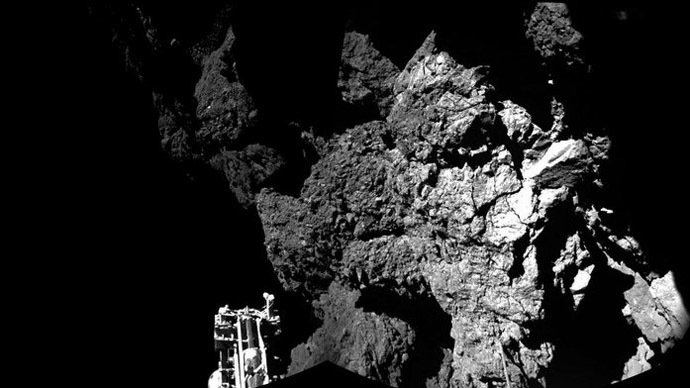 And in a truly game changing event that could potentially rewrite everything we know about the origins of man, the European Space Agency miraculously managed to land its Philae robotic space lander on a comet – the first such landing in human history. Data collected by the little lander could yield vital clues about the very origins of life on Earth. Awesome. Back on Earth, a lot of people were more obsessed with Matt Taylor’s shirt than the fact that his history making team had just navigated a lander onto a comet. That, and Kim Kardashian’s...what, do I really need to tell you? Seriously, beam me up Scotty.